Men do have a distinct advantage over women as far as skin ageing is concerned. Men’s skin, apparently being slightly thicker, ages more slowly than that of women’s. At least that’s what studies say. Do read the post Does a woman’s skin age faster than a man’s? However it’s also true that women deal with aging better than men and contrary to popular belief, are more accepting of their age and wrinkles as compared to men. More good news for women! According to a new study on brain metabolism, women’s brains appeared to be almost four years younger than men’s of the same age. 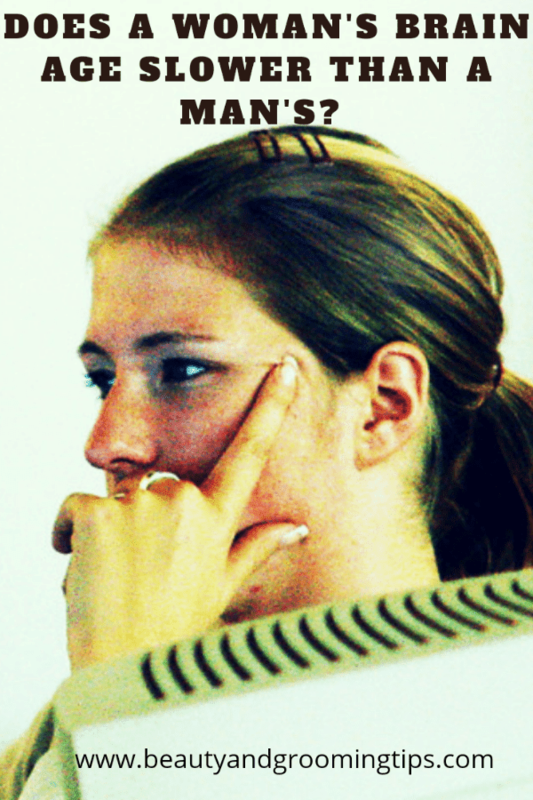 These findings explain why women maintain their cognitive skills longer than men. The study found that at any given age women’s brains were younger, metabolically speaking, than men’s – by an average of 3.8 years. The relative youthfulness of women’s brains was detectable even among the youngest participants of the study. Time seems to have different effects on men’s and women’s brains. 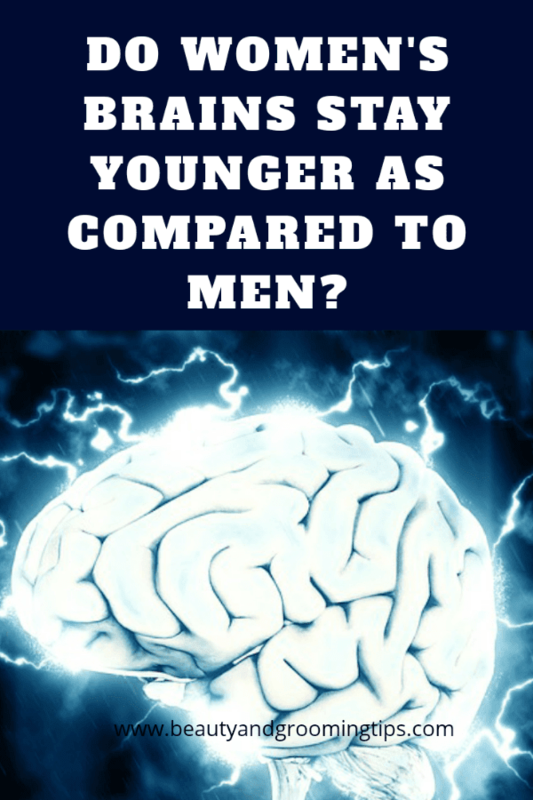 While the brain tends to shrink with age, men’s diminish faster than women’s. The brain’s metabolism slows as people grow older, and this, too, may differ between men and women.